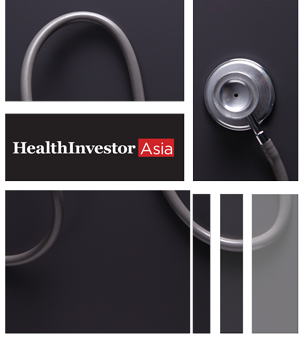 HealthInvestor Asia (HIA) is the definitive source of financial intelligence for Apac’s growing healthcare markets. HIA’s dedicated coverage of corporate and capital market activity in the healthcare sector provides independent and authoritative insight for investors, lenders, advisors and healthcare firms operating across the region. By focusing specifically on the health sector, HIA provides forensic analysis of this vital and growing market. HIA’s market-leading editorial coverage enables readers to grasp the complexities of the region and follow the flow of investment across health systems in Asia. Its market commentary and analysis is an invaluable tool in identifying trends and opportunities and its focused reporting allows readers to keep up to date with this fast-moving and exciting sector. The HealthInvestor Asia Digest keeps you up to date with breaking news, analysis and market commentary with a fresh update every Monday, Wednesday and Friday. Register now for a free trial. Established in 2004, Investor Publishing produces the UK’s market-leading financial intelligence sources for the UK’s health and education sectors and HealthInvestor Asia – the definitive source of financial intelligence for Asia’s healthcare markets. HealthInvestor UK is the most established and influential publication for the UK’s health and social care markets and is the authoritative information source for professionals advising, investing or operating within the health sector. Its team of experienced journalists and researchers not only report daily on corporate and capital markets activity in the UK health market, but also publish a number of sector-specific supplements, original research and industry roundtables. HealthInvestor UK also hosts a series of sector-leading events for the UK’s healthcare community, including its annual HealthInvestor Awards – which attracts a packed audience to London’s Grosvenor House Hotel – and the HealthInvestor Summit, the UK’s leading healthcare investment conference. EducationInvestor is the only monthly magazine that provides independent, authoritative coverage of the global education market. Its dedicated editorial team provides the business intelligence and political insight that will help investors understand the complex world of education and is essential reading for those with an interest in the business of learning.